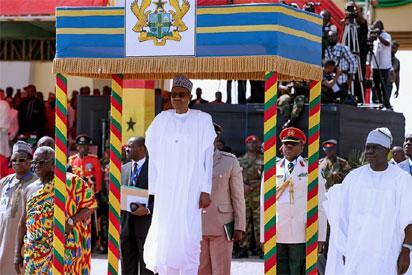 President Buhari with L-R: Vice President of Ghana Alhaji Mahamudu Bawumia, President of Ghana H.E. 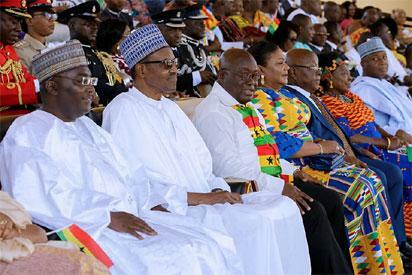 Nana Akufo-Addo, First Lady of Ghana Mrs Rebecca Akufo-Addo, Ghana Speaker of Parliament Prof. Mike Aaron Ocquaye, Wife of Ghana Speaker of parliament Mrs Alberta Oquaye and Nigerian Senate President Bukola Saraki during Ghana’s 61st Independence Anniversary Celebration at the Black Star Stadium Accra Ghana on 6th Mar 2018. 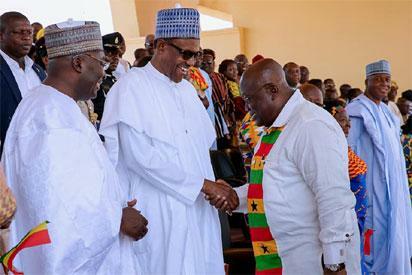 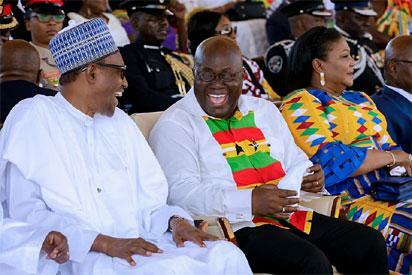 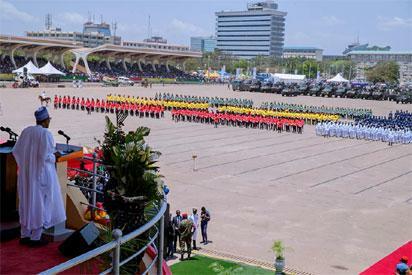 The post Photos: Buhari, Saraki celebrate Ghana’s 61st Independence Anniversary with Akufo-Addo, others appeared first on Vanguard News.